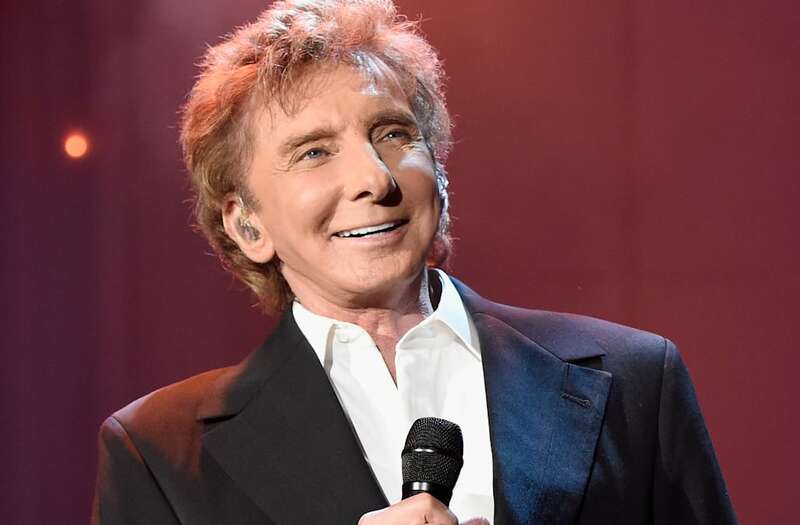 Barry Manilow is opening up about his husband, Garry Kief, for the first time ever on camera. During an exclusive sit-down interview with ET, the 73-year-old music legend reflects on marrying his manager and longtime partner, and how the two kept their relationship from the public for nearly 40 years. "I have not read one negative response," Manilow tells ET's Cameron Mathison of the reaction he's received from fans ever since news broke in 2015 that he had secretly tied the knot with Kief. "These strangers out there, and I've always known it, they care about me." "I don't know, maybe they care about everybody, but for me, it is so moving, it is so deep that these strangers were so happy that I was happy," he continues. "That I wasn't alone, that I had somebody that was with me that I loved and that we'd been together for 37 years. We're in great shape, and I was very grateful for that response." (EXCLUSIVE, Premium Rates Apply) (EXCLUSIVE COVERAGE) (L-R) Actress Lorna Luft, Singer Barry Manilow, TV personality Julie Chen, and President and CEO of CBS Leslie Moonves attend 2011 MusiCares Person of the Year Tribute to Barbra Streisand at Los Angeles Convention Center on February 11, 2011 in Los Angeles, California. (EXCLUSIVE COVERAGE) Singer Barry Manilow performs at First Direct Arena Leeds on June 11, 2016 in Leeds, England. He reveals, however, that he never had plans to make his marriage to Kief public. "This is my life, we've been together for all these years," explains Manilow, who was previously married to Susan Deixler from 1964 to 1965. "Everybody knows that we're a team. Everybody that I know knows. So it never really dawned on me to say anything about it. I mean, I'm a very private guy." "I don't even like people knowing the names of my dogs, so for the public to get that close was really very... it was strange that we were even talking about it," he adds. "But I don't mind at all. I'm proud of it, I am. I'm proud of it." Back in April 2015, Manilow's close pal, Suzanne Somers, confirmed that he had secretly wed Kief when she was a guest onWatch What Happens Live. "They're married and really happy, and I was there when it was announced," she said at the time. "I think it's freeing for him. He's extremely private, extremely. He's an awesome person, they're both awesome people, they're my dearest friends." Following that interview, Manilow received "unanimous" positive support from all his fans, which he found quite surprising. "It was just an amazing, beautiful, beautiful thing," he says. Also amazing is the fact that he and his partner's relationship has remained strong for nearly four decades, a rare achievement for Hollywood couples, and something even Manilow admits probably shouldn't have worked out. "And we're business partners," he adds. "This shouldn't work, but it did, and I couldn't be more grateful." So, what's the secret to a long-lasting relationship in Hollywood? Manilow jokes it all comes down to using "separate bathrooms." "It's all about respect," he says. Manilow's new album, This Is My Town: Songs of New York, is due out April 21. The album, which the crooner has been working on for over a year, includes 10 new studio recordings -- featuring several of Manilow's original musical compositions -- and classic standards, all inspired by the Empire State. After the release of his new album, the New York native will then be hitting the road for a limited series of concerts, beginning with a show in Durant, Oklahoma, in May, in support of the album (check out the full list of dates and cities HERE). And while it's easy to think life on the road may be full of fun adventures and wild stories, Manilow tells ET that after spending years touring, "glamour is the last word" he'd ever use to describe it. "It's always work. It's a full-time job for me, and I love it, but I'm not home," he explains. "And sometimes those tours, in the beginning, [they] lasted months at a time. Now we've scaled back, we have scaled back and we don't go out for that long." "I'll be making music until I croak," he jokes.